Today you'll see the last carnival picture for this year since the carnival season ends tonight. I went to one of the parades yesterday and here is the outcome. I saw so many funny/beautiful hats, that I decided to show them in a collage (and these are just some of them...). Hope you don't mind. 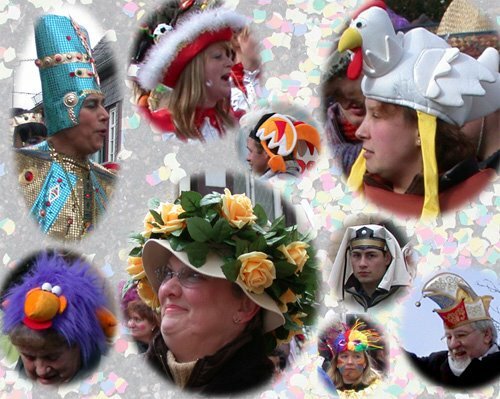 Two of the hats in the collage are quite traditional: the one of the "Funkenmariechen", which is the one in red with the white fur around, and the one in the lower right corner, which is the official hat of members of the carnival committee of each carnival club. 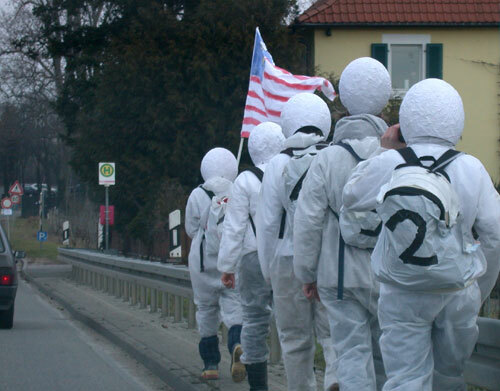 For more carnival parade pictures, please visit Rheingau Daily Photo. Yesterday (Sunday) was the day of the big carnival parade in downtown Wiesbaden. I wasn't able to go, just got there when people started to clean up and move everything to Mainz the neighbour city where there'll be the second biggest carnival parade within Germany today (biggest one is in Cologne). 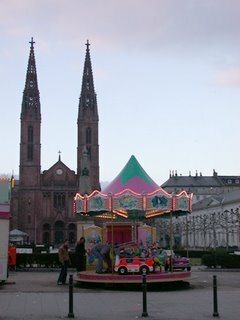 The place behind the little carousel is called "Louisenplatz". I'll write more about it after the carnival season is over, promise. 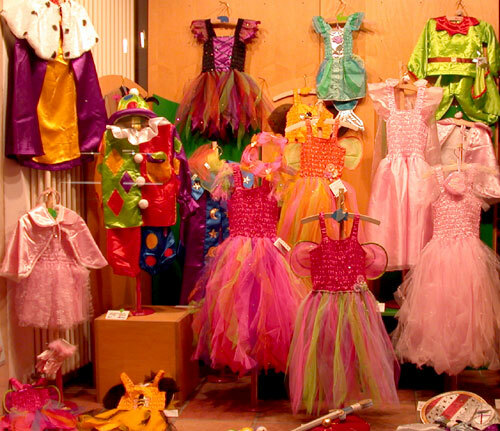 Here is the carnival window decoration of a kids store. Looks like fairies are quite "hip" this year. Which one would you pick? 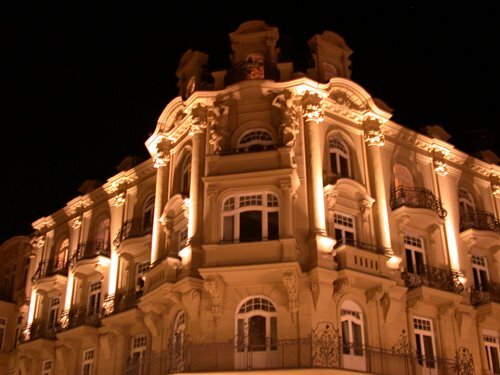 This building has a fascinating architecture that gets well supported by the lights at night, don't you think? 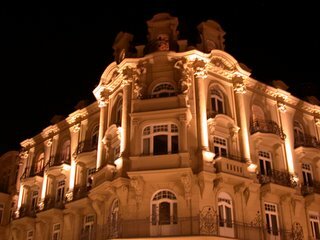 The history of this building is unknown to me - it's one of the older houses downtown Wiesbaden in the shopping area and is mainly used as an office building nowadays.